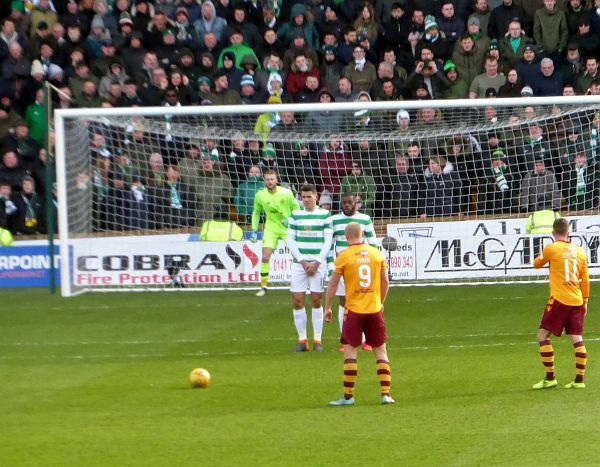 Motherwell and Celtic will meet for the first time this season when at Fir Park on Wednesday evening. Stephen Robinson’s men will have to produce a massive improvement over Saturday’s performance if they are to make a contest of it. The teams had contrasting fortunes at the weekend. Motherwell failed to compete in Livingston while Celtic enjoyed their trip to Hampden. The three points on offer will be a hard fought prize. Motherwell will be pleased to be back on their high quality grass surface after the experience on the rubber at the Tony Macaroni stadium. Although it was never mentioned in mitigation of the disappointing display it must have been a factor as so many in the claret strip were out of sorts. Carl McHugh and Peter Hartley are now free of suspension and they will surely start. The return to a more familiar starting eleven should stiffen resolve and boost shaken confidence. The Main/Johnson partnership that looked so potent against Aberdeen a fortnight ago produced nothing against Livingston. Bowman and Sammon may come into the mix. Brendan Rogers was keen that the League Cup winners limited their celebrations after Sunday’s victory. We can only hope that a few corks were popped and the pints flowed. Boyata may be rested following the head clash that sent Mackay-Steven to hospital but the Parkhead club have more than enough depth to send out an impressive eleven. We can take comfort from our recent home form against Celtic. The record shows two draws last season and we would be more than pleased to share the spoils on Wednesday. However, any sensible money will go on an away win, 0-2. Remember Celtic's last vist to Fir Park?